Final Fantasy XIV Moonfire Faire event, according to Square Enix, is planned for launch on Tuesday, August 8, at 1:00 AM PDT. To begin the event, players must first speak to the NPC Mayaru Moyaru at the following location in Limsa Lominsa. New details continue to emerge in social networks, click here to get more news. It is important to note that the event ends on Saturday, August 26, at 7:59AM PDT. Hence, gamers should mastery the chance to buy some items. Players will also have the opportunity to purchase some items from past events via Moonfire Faire vendors. The Moonfire Faire is once again hopelessly, understaffed, but those with an eye for opportunity are sure to be generously rewarded. The skies of Eorzea are ablaze with fireworks, and the city-states awash with seasonal cheer and vibrant decorations. Or at least they will be if willing adventurers can be found to lend a helping hand. Assist the organizers and take part in the celebrations to earn Faire vouchers, which can be exchanged for brand-new, seasonal clothing and furnishings. 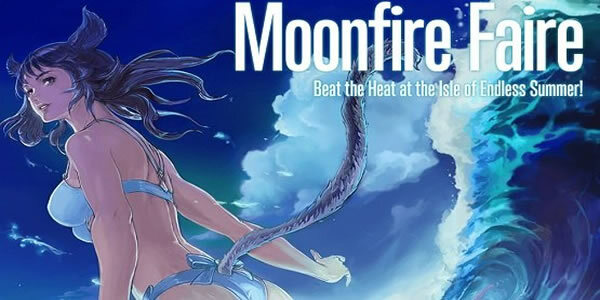 Seek out the Moonfire Faire chaperones for an unforgettable and fun-filled adventure. Now, you can participate in the Moonfire Faire will get you a variety of rewards, including gear, house furnishings, and more. Have managed to buy Final Fantasy XIV Gil and FFXIV Power Leveling?